Four teams remain in both the Unified division and the men’s intramural division. 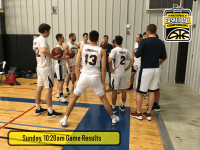 Tipping off at 9:00 am are the men’s IM semifinals with UCF battling North Carolina A&T and Alabama A&M facing Eastern Washington. 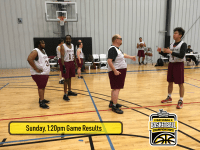 At 10:20, the Unified semifinals feature Florida-Toronto and Duke-Louisville. 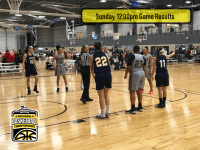 Quarterfinal action in the women’s club division also tips off at 9:00 am with NC State-Georgia Tech, Virginia-Prairie View A&M, UConn-Houston CC, and Wisconsin-North Carolina. 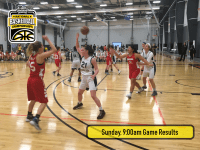 In the men’s club quarterfinals that tip off at 10:20 am, New Hampshire faces Georgia Tech, Northern Colorado will battle Wisconsin, USF takes on Air Force, and Texas A&M meets Michigan State. 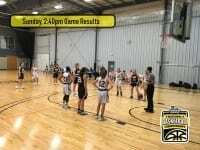 Catch complete game live streams of the 5 championship games on our NIRSAChamp YouTube channel (tinyurl.com/nirsachamplive). 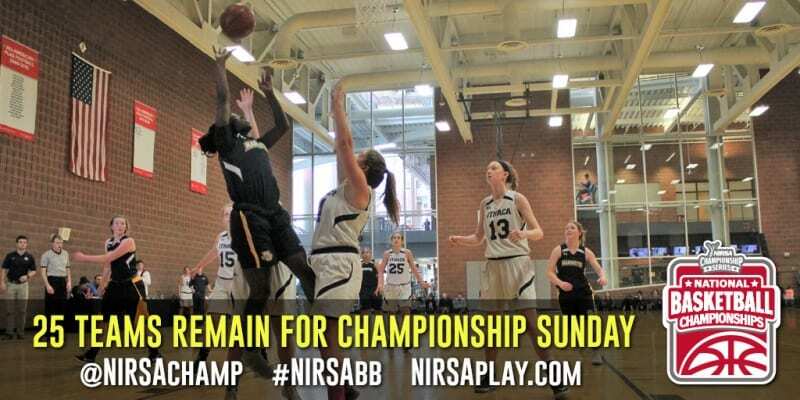 Follow coverage of other quarterfinal and semifinal action on other courts throughout the morning on our Twitter feeds @NIRSAChamp and @NIRSAChampLive.